This Paw Patrol Birthday Cake is east to make, delicious to eat, and fun to look at! How yummy does this Nutella Puppy Chow look!? Use (new) dog bowls for a fun way to serve it. It isn’t a pup party without tons of pup prints. These Paw Print Cake Pops are the cutest! 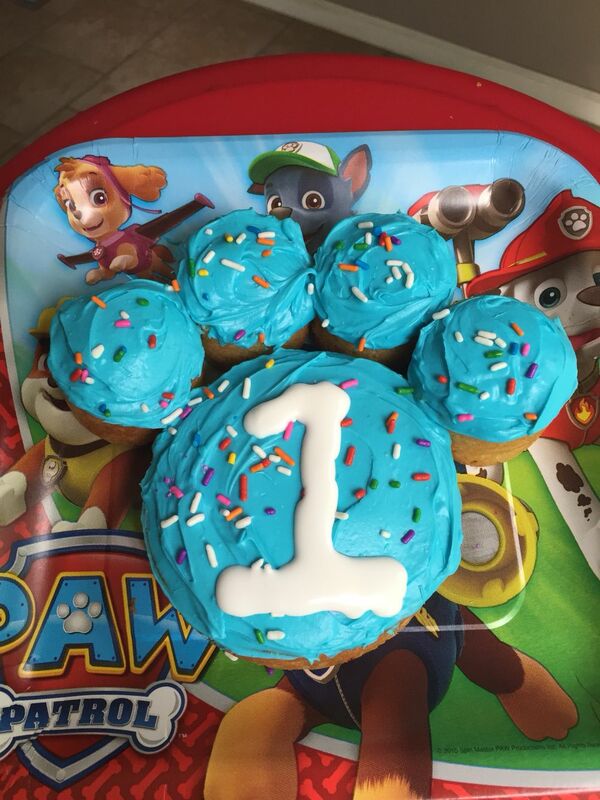 These Paw Print Cupcakes are made using marshmallows, how cool it that!? Ok, this might be the easiest cake ever! Use a small round cake and four cupcakes at the top for the perfect Paw Patrol Smash Cake!